We shouldn’t take God for granted. And our family certainly doesn’t take for granted all the ways He’s opened the doors for us to be involved in prison ministry. We’ve seen God in the prisons many times and many ways. 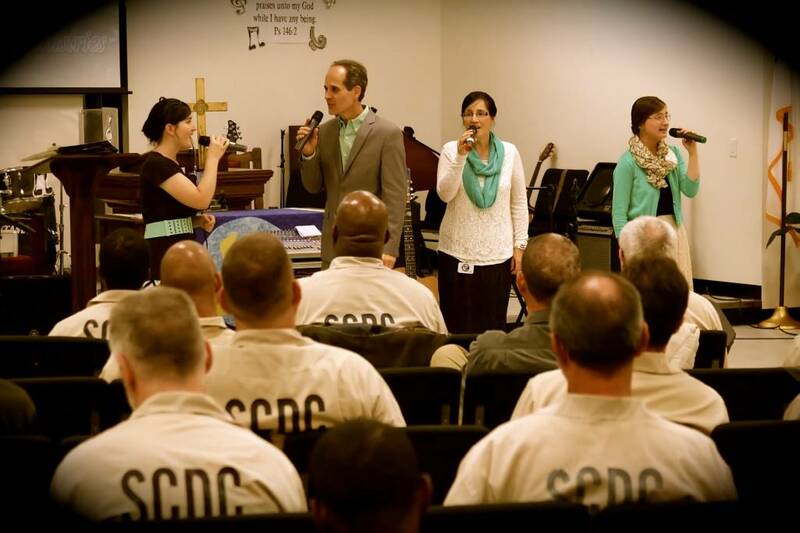 We’ve experienced many miracles during our ministry endeavors…and our recent prison ministry week was no exception. Although we weren’t looking for extra reasons for God to work miracles on our behalf, we watched Him do it. In several ways. Anyone who knows anything about going into prison, knows that the one most important item needed to get in is a photo ID. A current photo identification of either a valid driver’s license or passport. And to be safe, we normally carry both of them in our motorhome with us. (This time our passports were left on our desk at home as a reminder to get them renewed.) On the way to our very first prison service, one of our girls discovered that her wallet and license was forgotten at home. Now in all our years of ministry, this has never happened to us before! And since there are only four of us singing four-part harmony, she was desperately needed. We prayed and asked God to do a miracle and headed for the prison gate. Amazingly, they never asked to see any identification. By the next evening, we had found an expired paper version of her temporary license. They asked for IDs, but didn’t say a thing when we turned that paper in for hers. After the service was over, and we were leaving the prison, the officer at the control center saw the expired paper ID and made the comment, “What is THIS?” It was truly amazing that she had gotten in. It was God! By the next service, we had her valid license in hand (mailed second day air), and they were much more detailed and meticulous in their requirements and security. In fact, going in for our last service each of us ladies had to remove clips and hairpins to clear the detector. Pat searching or using a wand wasn’t an option. We saw God alive and working in various ways in these prisons. Don’t get me wrong…prison is a dark place and filled with much evil. But God’s precious spirit is also alive and well, moving behind these cold, clanging doors. We saw God when numerous burly tattooed men were wiping tears and coming to the altar. My heart was broken when I saw their pain, tears, and brokenness. My friend, I saw God when a white haired elderly man brokenly declared, “I love Jesus because He has always provided everything I need.” Now think about it, this man likely has been in prison for many years with all of his earthly belongings fitting in one small box. But he has found that Jesus is always enough. That’s God! I saw God at work on the yard in the women’s prison as we were leaving one evening. There were about thirty of us volunteers leaving while a line of inmates were filing past from the other direction, when I heard a gasp and someone proclaimed, “Miss Cindy!” I was surprised to look into the face of a young woman I had led to the Lord and mentored in another prison several years ago and hadn’t heard from her for a while. She’s been on my heart and I’ve been praying for her. When this woman was a little girl, she was raped repeatedly and one of her molesters would hold a knife to her throat to keep her from crying out as he would molest and do unspeakable things to her. Her mom was usually in another room, stoned high on drugs. I was able to exchange just a few words with her, but I now know how to better pray for her and have her information to be in touch with her. Please pray with me for complete healing and victory for *Tara*. Her life has been filled with years of horrible circumstances and evil influences. She told me that God doesn’t let her go, but keeps drawing her to Himself. I’ve been amazed how many times God has miraculously allowed our paths to cross. We also saw God in many of the officers at the prison this same week. It doesn’t happen very often that an officer comes to give us hugs after we’re done sharing in the prison chapel. That was God! We had several officers go out of their way to come up to us to shake our hands and thank us for coming. We’ve seen God’s hand numerous times in the past as prison wardens’ have granted us favor to take our little girls to sing in a men’s lock up area. He’s blessed us with personal friendships with wardens, who’ve even invited us to their homes and allowed us to borrow their vehicles. We were asked to share with the women on death row and this experience will forever be etched in our minds. Our little girls have prayed for and will remember “the ladies with chains” for a long time. By God’s grace, our children have been able to impact the lives of many hurting individuals over the years. Some of you may remember the story years ago of *Sarah Smith* who drowned her two young sons. Several years after the event, we shared at the prison where she was incarcerated. I noticed she kept watching our son, Austin. She later had tears in her eyes as she told me he reminded her of one of her sons. I’m sure she didn’t realize I knew who she was and that I was familiar with her story. 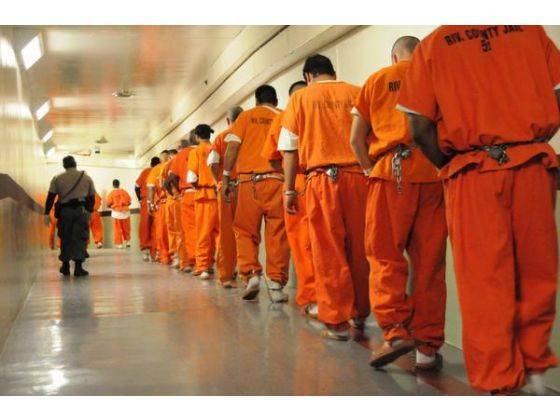 One of the greatest ways I’ve seen God within the confines of the barb-wired prisons walls is on the faces of countless men and women across this country. I have visual pictures in my mind of tears streaming down the faces of these men and women while their hands are lifted in worship to Jesus. I see God in the gentle, loving eyes of a man who still bears the scars and tattoos of a previous sin filled life. I see Him when a female inmate looks into my eyes and tells me that she’s found such joy in watching our children grow up, because she will never experience her own family. When a “lifer” wipes tears from her eyes simply because she was able to shake hands with my little girls. Some time ago, we stopped at a Dollar General in a small town in Florida. As we were picking up a few items, a couple with their children came up to us, and the woman said, “Hey, I know you! Your family came into the prison and shared a service when I was there.” It was so incredibly encouraging to see someone who’s now back on the outside and is doing well and reunited with her family again. 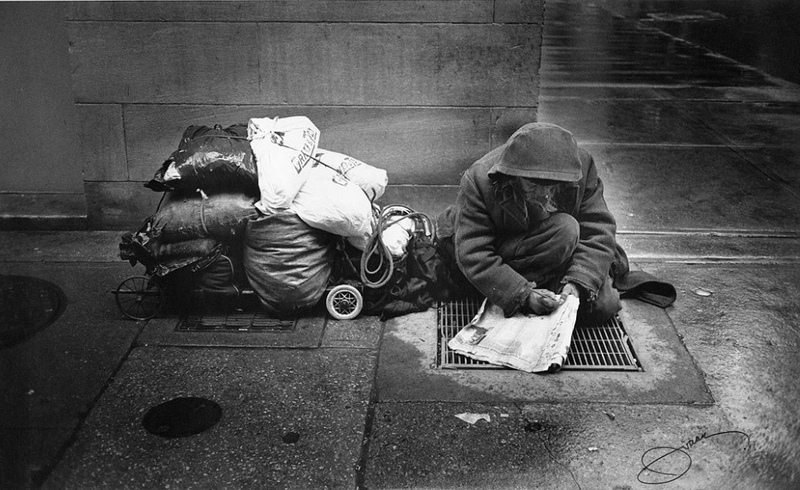 We may be tempted to judge others and reject “the least of these,” but if we take the time to look we can find Jesus—within the prisons, at the home of your single-parent neighbor, in the long haired, scruffy homeless person shuffling down the street, or in the life of that difficult child. Jesus is known to be found in the most unlikely places. He is spotted in the homes of outcasts rather than the elite…in a stable rather than in a palace. And sometimes, He’s seen easier in a prison than in a church.